Let’s dance. Let’s sing. Let’s learn to count! Yes, the new Fisher Price Bright Beats Dance & Move BeatBo does all this. It’s so much fun! I don’t know about you, but I can get really bored of children’s toys. Lacie doesn’t, but I do, so when the postman knocked on the door with this big box of entertainment, I couldn’t wait to crack it open. Lacie was asleep, so I literarily had to sit on my hands! 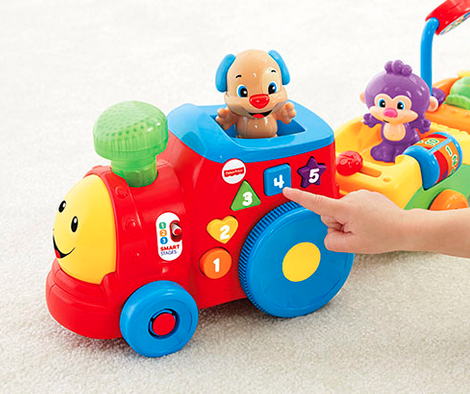 The Fisher Price BeatBo is the latest educational toy from Fisher Price, and aimed at toddlers aged 9-36 months. It offers three incredible modes to play and learn for little people: Dance ’n Move, Learning & Games, and Customised Sing-Along. 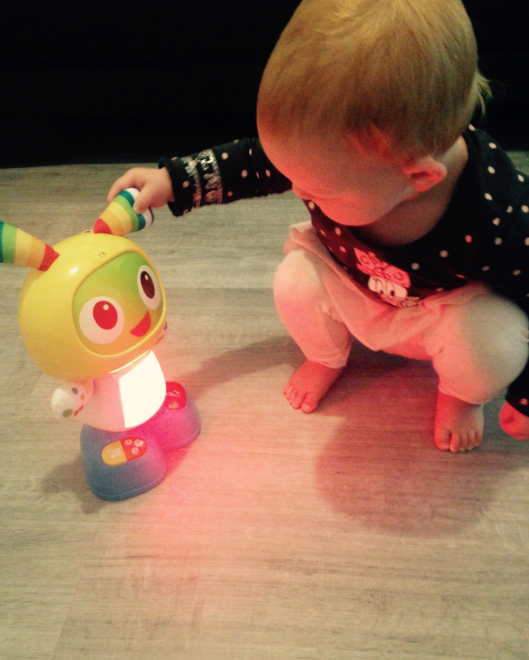 We played with our fun looking robot as soon as she woke, and what with it being a dull and rainy day, we kept the lights off and took full advantage of the flashing lights on its large, multi-colour LED grid tummy. 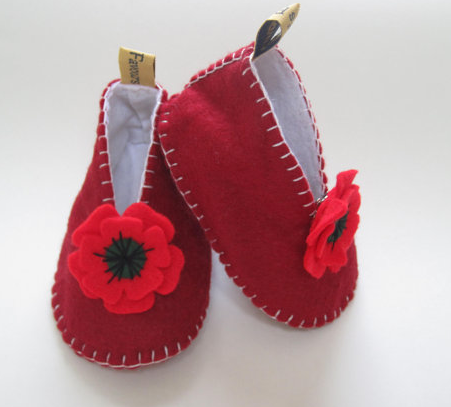 First of all, we explored the musical button on his foot – the first button of three. We had a ‘dance party’ were we clapped to his instructions, and jumped up and glided. Lacie did the moves, whilst the BeatBo shook his head from side to side – and wiggled. Very funny! She found it hilarious. Next we played with the ‘123’ button and sang about colours and the ABC. So far the ABC dance has to be my favourite. It’s really catchy and Lacie has already grasped the first verse. The only thing I hate has to be the fact that I wake up in the night singing the song. These baby songs are so catchy – ahhh! 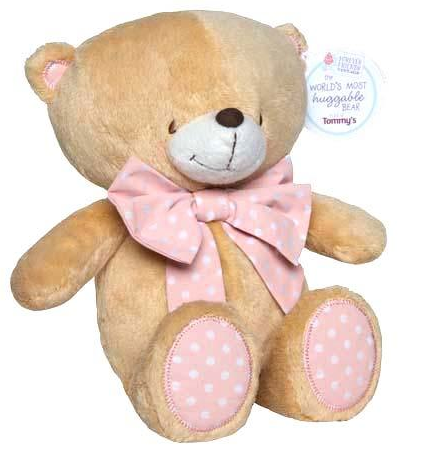 You can also press BeatBo’s tummy for more catchy tunes and learning phrases and record your own phrase that the baby toy then remix’s into his favourite song. A great way to repeat a word or phase that you’re little one is trying to learn without sounding like an obsessed mother – or a broken record! 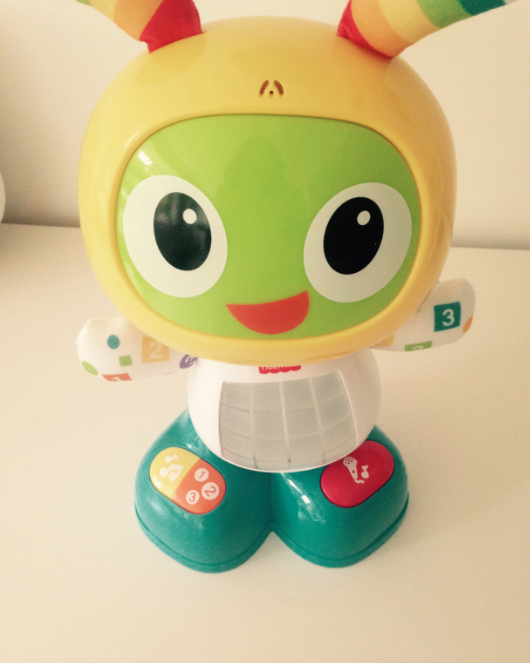 BeatBo’s fun and energising music encourages baby to move around. By pressing his tummy, or one of the buttons on his feet you can play learning songs and games, which introduces your child to ABCs, colours, counting and instructions like jumping, clapping and ‘shaking it up’. 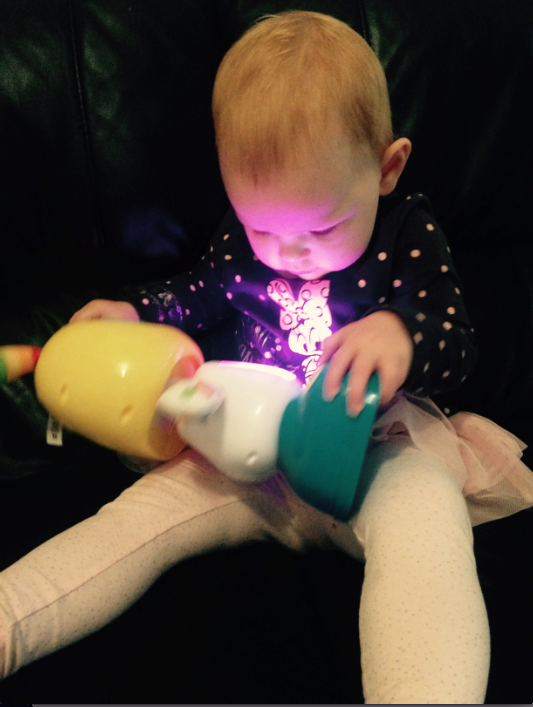 The music, songs, phrases, lights and bright colours helps strengthen your child’s gross and fine motor skills, which aslo help give baby’s senses a boost. the different songs, phases and beats that the BeatBo plays each time you press a button encourages curiosity and discovery. There are around 50 phases all in all – I’m not bored yet!